Mateship is alive in Somalia. "I have witnessed the finest attributes of empowerment and human dignity flourishing in a parched land." In Australia when there is a drought, rural people don't die. Nor do children suffer acute malnutrition. But here in Somalia it is the norm. In recent weeks, aid agencies have become increasingly anxious as conditions in Somalia have deteriorated. More than 360,000 children under the age of five are now acutely malnourished, with 71,000 of them being severely malnourished. The number of people in need of urgent humanitarian assistance has jumped from 5 million six months ago to 6.2 million -- almost half the country's population. The number of people in "crisis and emergency" has risen from 1.1 million to 2.9 million. The children are thin. The cost of food is soaring, while labour prices are falling. Animals are dying, bones jutting from corpses decomposing in the dust. It is now clear that if the April to June "long rains" fail, the present level of aid will be inadequate to meet the need. 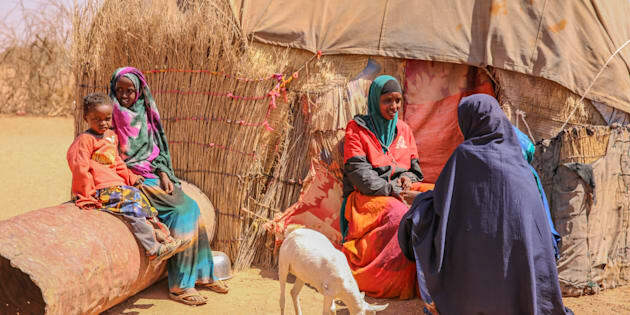 This month, the United Nations Humanitarian Coordinator for Somalia, Peter de Clercq, warned that unless a massive and urgent scale up of humanitarian assistance takes place in the coming weeks, Somalia will slide into famine and disaster. Famine is not a word that aid agencies use lightly. In the most recent catastrophic famine in Somalia 2010-2012, nearly 260,000 people died, including 133,000 children under the age of five. Death rates peaked at 30,000 a month between May and August 2011. 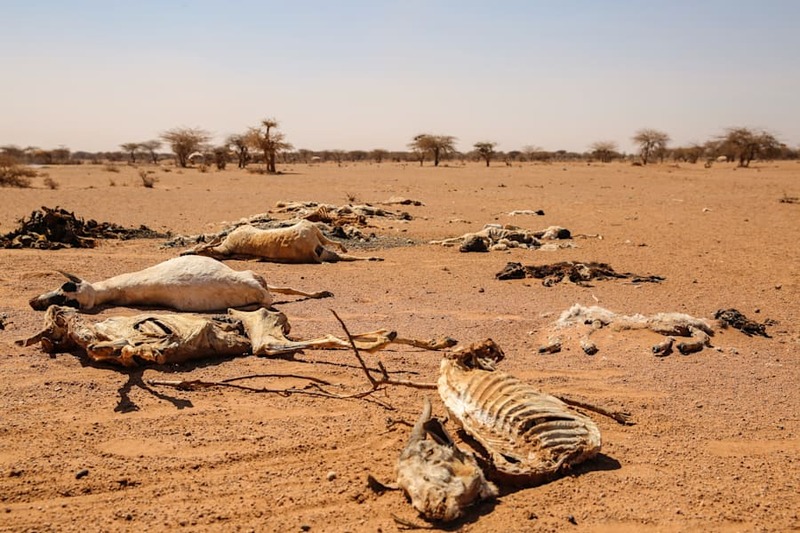 As I travel through Somalia looking at World Vision's resilience work, funded by the Australian Government, I am struck by the physical similarities between our drought-prone countries. Brown and dusty, this could almost be our outback and drought at its harshest is bitterly familiar. The rivers and dams are stone dry, and even the boreholes, despite running 300 meters deep, often produce water that is brackish and undrinkable. Travelling here has been a humbling experience. I've seen hope and suffering and dire warning signs that the country is in trouble. The children are thin. The cost of food is soaring, while labour prices are falling. Animals are dying, bones jutting from corpses decomposing in the dust. We don't see scenes like in Australia because we have built in systems of resilience. We diversify our crops, and often farmers' incomes. We conserve water and fodder. We build insurance systems to see us through the pain as we wait for the rain. This is what is being built in Somalia. With the help of the Australian taxpayer through Australian Aid, we have built dams with solar powered pumps. 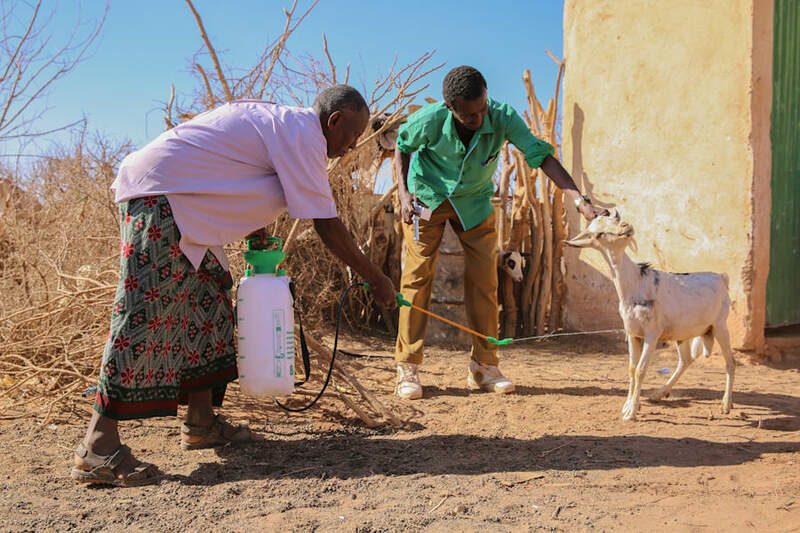 To prevent disease wiping out flocks we've started animal husbandry clinics in villages, and Somalis now run these businesses. Hay is stored in DFAT funded storage sheds, ready to sell commercially in hard times. The inbuilt resilience in these novel change has meant that families and animals have survived a year longer than in past droughts. These are malnourished families whose wealth has died with their livestock, and amazingly the host villages do not resent them but share. Water harvesting is well established in Australia. Here, we are working with Somalis to build to water catchment digging pits and trough and stone retaining walls, to harvest run off, and to renew the root system hidden under the sand that becomes an underground forest when watered. The cash-for-work program funded by our Government is building catchment areas throughout drought affected lands that look more like desert. All of this is good work, and Australians can be proud of their contribution, but nothing is failsafe against a drought of this magnitude. The dams are empty, so water must be trucked in. Thousands flock to these water points to survive, including families with an average of six children each. These are malnourished families whose wealth has died with their livestock, and amazingly the host villages do not resent them but share. Mateship is alive in Somalia. In hard times, we Australians can borrow money. But what do people with no credit rating do? In one village, the women had formed a Village Saving Group. In the midst of this drought these women were saving US $10 a month and putting it in a cooperative locked box. This enabled them to take a loan to start a business and feed their families at no interest, or lend to the neediest family. Out of this, they allocated $2 dollars into a social fund to pay teachers to reopen the school in their village. They also use this fund to feed desperate and malnourished internal displaced persons (IDP's) that arrive. These IDPs are not the village's responsibility, but with big hearts they welcome them and share what they have. Another savings and loan group was run by women who had suffered the great stigma and discrimination of fistula caused by female genital mutilation. Through this they had restored dignity through solidarity in their shame. In these past few days, I have witnessed the finest attributes of empowerment and human dignity flourishing in a parched land. As a new American President steps onto the world stage, talking of building wall and borders and locking people out, I have been deeply impressed by the care Somalis take of one another. I have witnessed hope among the humble and the poor. A drought, yes, but not a drought of spirit.